Melinda Casady fell off the back of a turnip truck in Central Oregon and spent her childhood in Madras before vaulting away to Pennsylvania for college and finishing up a degree in Sociology at Oregon State University. Realizing that her love was for social work but her passion was for food she moved to Portland, the city of her dreams, and graduated from Western Culinary Institute in 1997. She worked ten years in the industry; Fiddleheads, Pazzo’s, Multnomah Athletic Club, and Oritalia being some of the highlights, and finally as a Food & Beverage Director at the Marriott before being called back to Western to teach. She found a love for fostering the passion of other young culinarians and taught a variety of classes spending most of her time in Butchery & Charcuterie (she can tunnel-bone a chicken in under 6 minutes while blindfolded) and Professional Communication (you want your resume fixed?) . She became a renegade and a pirate, leaving to become a Kitchen Ninja at Oregon Culinary Institute where she taught Introduction to Culinary Arts, Culinary Management, Food Ethics and Social Responsibility, and a wide variety of the weekend classes for consumers where once again she discovered a love of teaching the everyday person that cooking can be fun, and not a chore, that a person’s knife skills can improve dramatically over the course of a couple of hours, and the joy that people have when they learn something that will bring them back to their own kitchen with more confidence. Susana Holloway has always been in love with food. So much so that she spent her childhood giving her stuffed animals and 8 year old friends ‘cooking shows’ in the old barn she played in as a kid in Upstate New York. After living in Brazil and Spain in her youth, traveling and eating through South America and Europe, Susana realized that cultures and their foods were her calling. 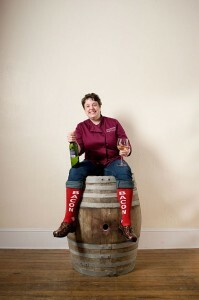 She moved to Portland in 1995 to attend Western Culinary Institute, and upon graduating worked for various caterers, Wild Abandon Restaurant, Roseanna’s Café in Oceanside, Oregon and then began her own Personal Chef business aptly named The Whole Table. The Whole Table was a way for her to keep her hands busy in kitchens, promoting local sustainable food before it was ultra-hip, all the while putting herself through school to earn a degree in Nutrition and Food Management from Oregon State University in 2003. While working with OSU Extension Services Nutrition Program with urban youth in the Portland Public School district, and for the past five years at the Le Cordon Bleu College of Culinary Arts teaching nutrition and kitchen fundamentals, Susana realized what her stuffed animals knew way back when: she is a great teacher and loves sharing fun, nerdy facts about food, food science, nutrition, culture and history! So, here she is now shouting from the rooftops and her huge urban garden to anyone who will listen about the virtues of what makes her and us happy…great tasting, healthy, beautiful food! With knife skills as sharp as her wit, Melaine Hammericksen engages Rose City’s aspiring culinarians to cook with passion, pride, and a style that only we Portlandians know as one of the country’s best. 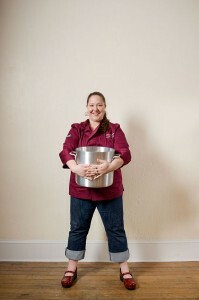 Not only does she lead workshops at PCW, she also is a full time instructor at Oregon’s Culinary Institute, with the solid reputation as the only instructor to have taught all levels of cooking and baking. With a degree from the former Western Culinary Institute, and years of experience in some of Portland’s most fast paced kitchens, Melanie brings her unique vision of culinary prowess to an environment that is fun and exciting for both children and adults. Classes taught by Melaine are brought with a sense of personal feel, which only she can bring, a feel that puts the novice at ease, and gives the more experienced a new perspective on kitchen techniques.